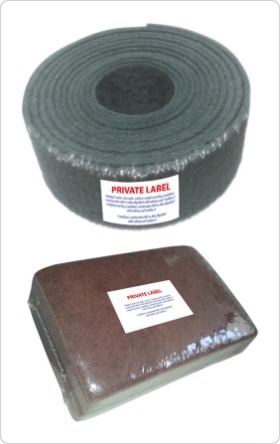 Corazzi Fibre cooperates with Companies wishing private-label packages for pads and rolls, to be used on both hand-operated or portable tool machines, suitable for any kind of finishing and polishing applications. Thanks to its flexibility, along with a know-how built throughout years, it can assist buyers in satisfactorily meeting the market’s demand at the best. It is organized to offer a customized service, cooperating with customers in the manufacturing of packagings and labels tailored upon their requirements.